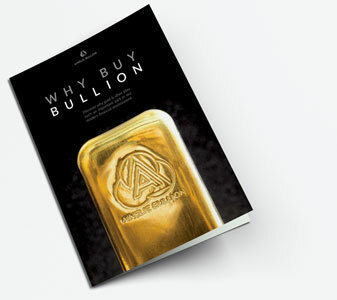 If this is your first time looking into buying gold and silver bullion you might be feeling a little daunted or unsure. However, rest assured it is simple to understand why it's worth considering and even easier to buy when you are ready. That means their value is intrinsic (in and of itself by virtue of its rarity). or bail-in risk, etc etc). They become the 'go to' asset when financial assets crash. Gold and silver is often referred to as 'money' not an 'investment'. As inflation, expansion of the monetary base, and devaluation of currencies erode your modern 'money', gold and silver have protected wealth for literally thousands of years. As a safe haven or 'defensive asset' you might expect lacklustre 'safe' returns? Over the 15 years to 2016, both gold and silver outperformed Aussie shares (including dividend reinvestment) and cash in Term Deposit. The following are just brief summary points. Gold and silver are generally uncorrelated to shares or equities. In the five worst years on the ASX, shares declined 24.4% and gold rose 38.5%. You were 63% better off in gold. In the GFC (over 2 years) – shares halved and gold doubled. nowhere to run when it next crashes. Many believe the next financial crisis is nearing and will be far, far worse than the GFC. discoveries. As at 2016, demand for gold outstripped mine supply by 33%. The world's Central banks, already strategically holding large quantities of gold, have bought over 3,000 tonne since the GFC. Chinese demand has surged since 2013 and continues. Investment demand too, started to surge in 2016. About half of all silver produced is used in growing industrial uses to which its properties are unique. Most of those uses discard the metal afterwards without recovery. Both gold and silver are relatively small markets that can quickly be overwhelmed by sentiment based investment. The spot price for gold and silver are US dollar denominated. A falling Australian dollar sees the metal price in Australian dollars rise (with no change in the US spot price). Many economists are predicting an Aussie dollar in the 60c's and 50c's in the near future. From, say, 75c that represents a 25% or 50% rise in price on either scenario without 1c change in the US spot price, and all at the same time that your Aussie dollars buys less internationally or on any import.